The Las Vegas Manpower franchise began with the parents of the current president and CEO, Andy Katz. In 1963, Mike Katz, saw an ad in the Wall Street Journal about Manpower expanding west. That was enough to convince Mike and Bee Katz to move to Las Vegas from Long Island with their four children. Andy, their youngest, was only a year old at the time. A year after arriving in Las Vegas, the Katz family opened the first Manpower franchise in Las Vegas. “We’re celebrating our 50th year,” Andy Katz points out. “It started as a small office downtown, and it just grew as the city grew.” Now, there are three locations; one in North Las Vegas on West Cheyenne, the Downtown location on Third, and the Southeast location at Eastern and Sunset. Katz attended Valley High School and UNLV, where he received his degree in business management. He explains, “It was kinda always the plan get into the business. I was working in the business all through high school and college.” He spent two years in Denver working in the corporate office before returning to the family business. He said he enjoyed working with his father for 10 years. In addition to its signature role as a provider of temporary help, Manpower has co-sponsored SeniorNet since the 1990s. It is a nonprofit program that allows people to learn new technology in a small group setting; classes are usually taught by someone who was once a student. Q. What was the recession like and how are things now? A. We’re an interesting business because we’re usually the last to feel the recession and the first to come out of it. If you think about it, maybe they’ll lay off permanent staff but they’ll keep flexible/temporary staff to come in for peak periods or special projects. So they stay flexible and hire less permanent. We’ve got this great pool of people that we’ve recruited, we’ve screened and tested and placed, so they’ve got a work record with us. They’re great people. Eventually, we got hit. We got hit hard like everybody did in this recession, but we were able to maintain a stable business because people still will bring in the flexible staff. Now, we’re starting to see less people and more requests for specific skills. Recruiting is going to get tough coming out of the recession. Now people are starting to hire again; there’s going to be a real recruiting crunch. Q. What makes you think a recruiting crunch is coming? When/how soon? A. The unemployment rate has been steadily declining and now stands at its lowest level since 1977. This means that more people who want jobs have found them. It is also good news for those with employment challenges since there will be more opportunities as job growth increases. I think we will see tightening of available labor by the end of this year. Q. In what fields do you think we will first see this crunch? A. We already see some evidence in call center hiring but also in the medical fields and information technology. Q. What is the SeniorNet program/partnership? A. Well, it’s interesting. Manpower in the mid 80s had to come up with a training program for our temporaries around the world. That’s when word processing came out. It was a change of a culture, the business culture, because we had all these secretaries or administrative people that were trained on typewriters and didn’t know anything about word processing. So Manpower came up with Skillware; it basically trained our workforce in word processing. So at about the same time, SeniorNet started, so we partnered with them. They had the same philosophy: Let’s train seniors, let’s train people who don’t have these skills so they can be marketable in the workforce. Q. 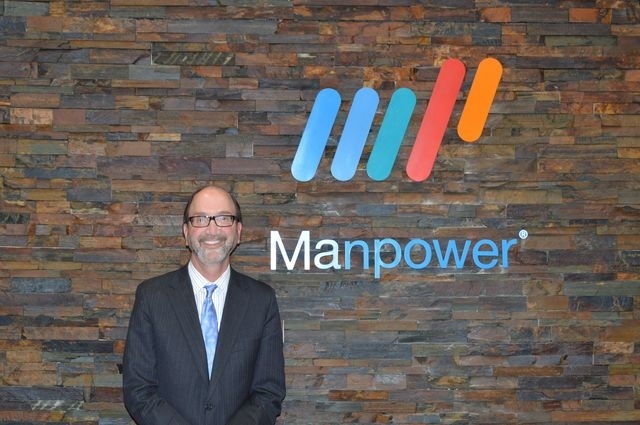 Why is Manpower revitalizing it now? A. Basically, we’re at a crossroads. I got a call from the CEO of the company, and he said, ‘Your center is kind of out of date’. I thought, ‘Our culture’s still the same’. We still want to train people, give marketable skills, and help them find jobs. What’s so interesting about SeniorNet now is they’re not just concentrating on seniors, they’re concentrating on veterans and people that just need to update their skills, not necessarily just seniors. It is a program that allows people to learn new technology in a small group setting; classes usually are taught by someone who was once a student. They are excited about upgrading to Microsoft Windows 8.1 and Microsoft Office 13. Q. What is the goal of SeniorNet? A. My goal — and I think we share it with SeniorNet — is helping people update their skills and, when they’re interested in work, to help them find opportunities. We can place people on flexible assignments, and a lot of times companies come to us to identify permanent staff. Q. How would you define success for SeniorNet? A. I think there’s the heart part of it … where we’re helping the community, we’re helping with seniors and veterans and others that need these skills to enter into the workforce. We’re helping them to update their skills … even if they don’t find jobs or don’t want to work. That makes us feel good. We’re giving back, and that’s the culture of our company that started with my parents. One thing my dad always told me was get involved in the community and give back, and it will come back to you. So, that’s the heart part of it, but ultimately we want to help people find jobs. That’s our goal.